I started the movie noping the theater. The previews were finally done and the logos were playing. Then, the first two lights in the theater started flashing. Freaked me out. I don’t know if that was on purpose but we’ll done. All the lights flashed at the end of the movie too. It was scary but also funny. Like when you’re watching a horror movie, your pet moves and you scramble across the room like you’re about to be attacked. The trailer definitely prepared us for some serious scares. That's how you do a trailer. It showed just what kind of movie we should expect without giving away too much. I've had "I got 5 on it" stuck in my head for days. 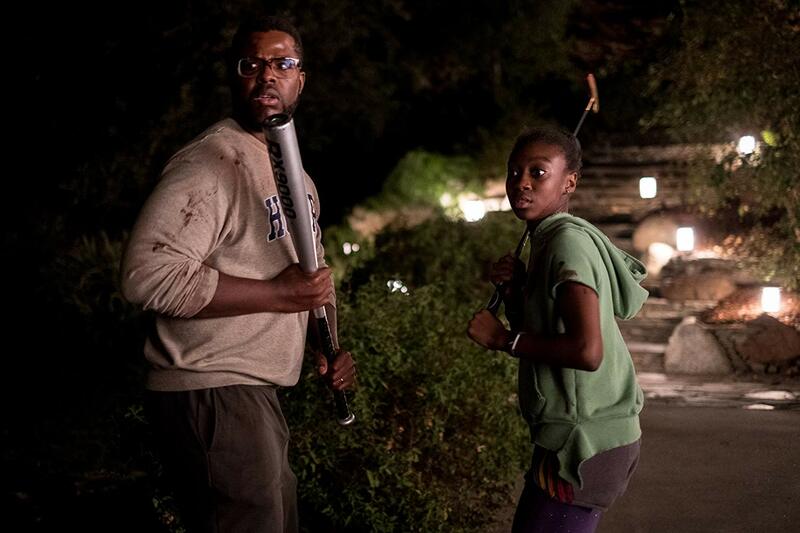 Was Us really as scary as the trailer showed? Yup. As a lifelong horror fan, this movie freaked me out. But, it wasn't so terrifying that I wouldn't watch it again. I don't have a problem with jumpscare. They can be effective when done right. 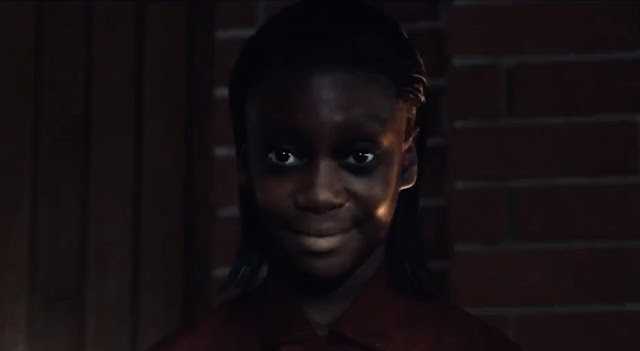 Most horror movies lean into this too much. 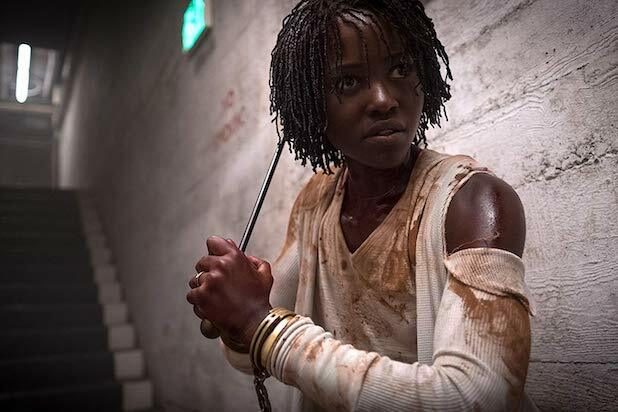 I was happy Jordan Peele didn't use jumpscares. At least I can't remember if he did. He relied on the soundtrack, the way the characters moved, their expression, even their voices to thoroughly freak you out. The tension had me so wound up, I couldn't relax. That soundtrack was well done. Reminded me of some classic horror movies. This cast can act. They were good as their "regular" selves. A well-off family on vacation but they also played their doppelgangers. The contrast was impressive, especially Evan Alex who played the youngest son. His doppelganger was particularly terrifying. I liked how Us ignored a lot of horror trope. The Wilson family were normal. The father wasn't a deadbeat or distance parent who needed a life or death incident to repair his relationship with his family. The Wilson's got along. They weren't perfect but they weren't completly dysfunctional. 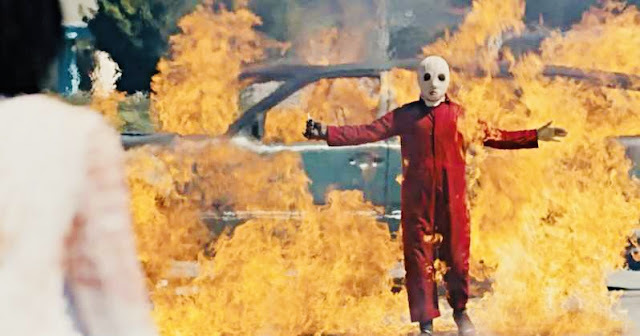 Horror movies tend to put in one child with some kind of medical or mental issues, usually asthma. If the movie has a teenager, they're so annoying you simply can't root for them. Jordan Peele wrote Us like he actually met children. Yes, the teenage daughter did spend a lot of time on her phone but she wasn't annoying about it. She didn't turn into a weeping, screaming mess when all the scares went down. Yes, she was a little mean to her brother but it wasn't over the top the way some movies tend to do. The kids were awesome. I'm actually curious about the younger son's story. There seems to be more to his background. M'Baku. I was seriously going to spend the entire review calling him that. But I'm not going to do it. 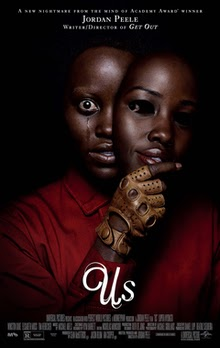 As far as I know, Us is Winston Duke's first movie outside of Black Panther and Infinity War. He added some comedy to Us but he wasn't the comic relief. I felt, though, that he was a bit on the side. I liked his characters but I wanted a bit more. He didn't seem to get developed as much as the others. I wonder if that was on purpose. Us showed he could do more role outside of M'Baku. Lupita Nyong'o killed it. I really want to know how she did the voice for her doppelganger. Was that special effects or did she make that noise herself? She was clearly the star of this film. I read somewhere that Us was inspired by a Twilight Zone episode about a woman who met her doppelganger and spent her life afraid that person would come after her and take over her life. Thinking that way, it made sense she was the star. Also, in terms of the story, everything started with her. Her arc was the most interesting. I can't get into it too much without spoiling the plot. There is so much to unpack about her story. The plot took a turn I didn't expect. Us became my kind horror movie. In general, I prefer my horror movies with a healthy dose of paranormal. It's good to watch/read something outside of your norm. Us wasn't that and it didn't become that. It had another plot point that I love. I was already into the movie at the beginning but as we learned more about the problem, I was really digging it. I appreciate how Us was set in California. Usually, African American stories, in general, were set in places like Atlanta, Chicago or New Orleans. Nothing wrong with that but it was nice for Us to acknowledge that black people do live in other places. I also appreciate that the Wilsons weren't the typical black family often portrayed in movies. 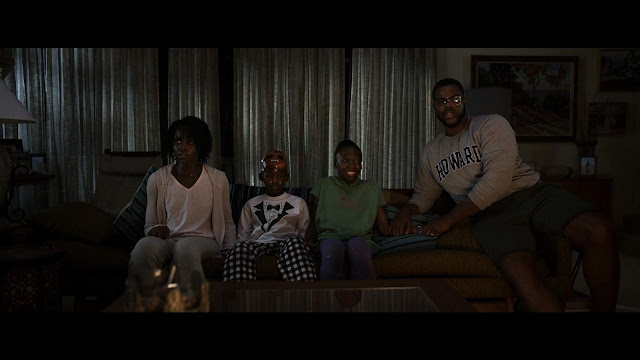 I loved how Jordan Peele went with a dark-skinned family too. The number of times, growing up, where people made me feel ugly because of my skin color... I used to hate my complexion. It was nice to get some positive representation. I'd need to see the movie again to be able to dive deeper into themes. The rabbits clearly had some meaning. Us probably had more hidden symbols. I'm not going to make any theories after one watch. It'll cost me $17 to see it again and I don't have it like that. I'd see this again, though, if I could. If you saw Us, let me know your theories. Comment below. Please, try to keep it spoiler free. I'm glad you loved this movie! It's something I've been wanting to see, so thank you for not sharing any spoilers about it. How gory would you say it was? I enjoy horror, but I try to avoid the really bloody stuff. I'm the same. The movie had some blood. Few were killed on screen and the camera was always far away. There wasn't any Saw or slasher film levels of gore.